This White Chalkboard Marker Makes a Statement on Glossy Black Surfaces! 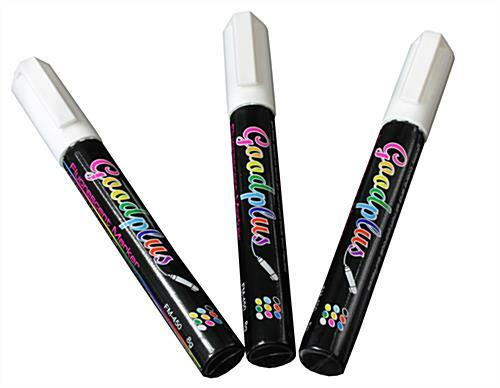 This Liquid Pen is an Effective Alternative to Traditional Chalk! This White Chalkboard Marker is an Advertising Must-Have! 1/16" fine point for detailed messages! Ink is shiny to draw in new customers! Clean quickly with a damp cloth! This white chalkboard marker that is an alternative to chalk leaves behind no dusty residue! 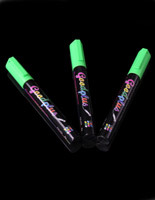 This fluorescent pen is non-toxic, so it can be used in classrooms around children. 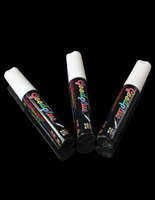 Typically this white chalkboard marker is used in bars, restaurants, cafes, and retail stores. This fine point writing instrument, also known as a fluorescent pen, looks great on a glossy black board and it will dry fast so the message remains neat. This white chalkboard marker is best suited for non-porous surfaces such as glossy boards, glass, windows, and write-on LED signs. 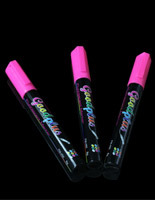 This color stick has a shiny look on a surface that is eye-catching and the ink will dry quickly so there is no mess! Unlike classic chalk, this fine point white chalkboard marker leaves no dust on one's clothes or person. 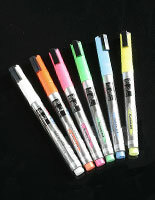 This fluorescent writing stick is easy to clean with a simple damp cloth, so messages can be changed out frequently. A word of advice: don't use this white chalkboard marker outside, or the rain might wash it away! 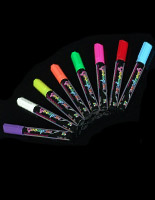 This fluorescent color stick is shipped in a 3-pack so merchants don't run out of ink! 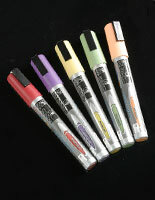 This white chalkboard marker has a 1/16" point for detailed messages and drawings that dry quickly! Buy this fine point writing tool today!